Add music, food and shiny glasses of dreamy concoctions to your Saturday night vibes and welcome the weekend in style. 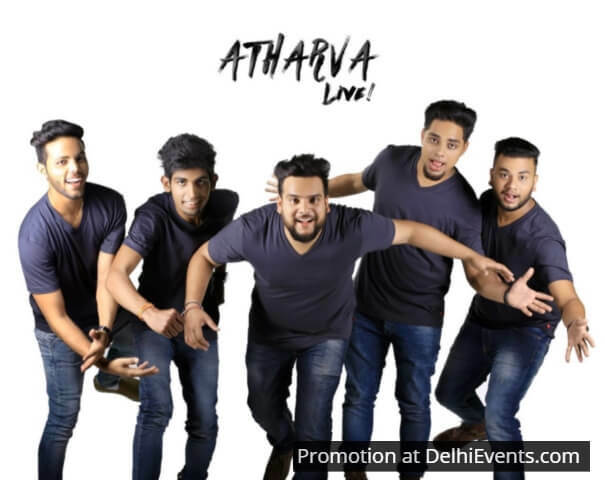 Your favourite hang-out joint is once again back with another live gig, and this time featuring the very vivacious Atharva. The Chandigarh-based band will make you groove to foot-tapping and head-banging Sufi-Bollywood and Rock numbers. They have Lakshay Sharma on lead vocals, Rajat Sharma on rhythm guitar and back vocals, Saaransh Maiden on lead guitar, Vivek Sean on bass guitar, Balram Broute on drums, Ram Saini on flute, and Vishal Bajwa on percussions.